The clients at both Louis Nine House and the NCS Residence received a visit by Miracle Icons founder, Mary Jo Pane. In December, Mary Jo held a holiday jewelry making session at the NCS Residence where everyone had the opportunity to make a bracelet either for themselves or as a gift for someone else. 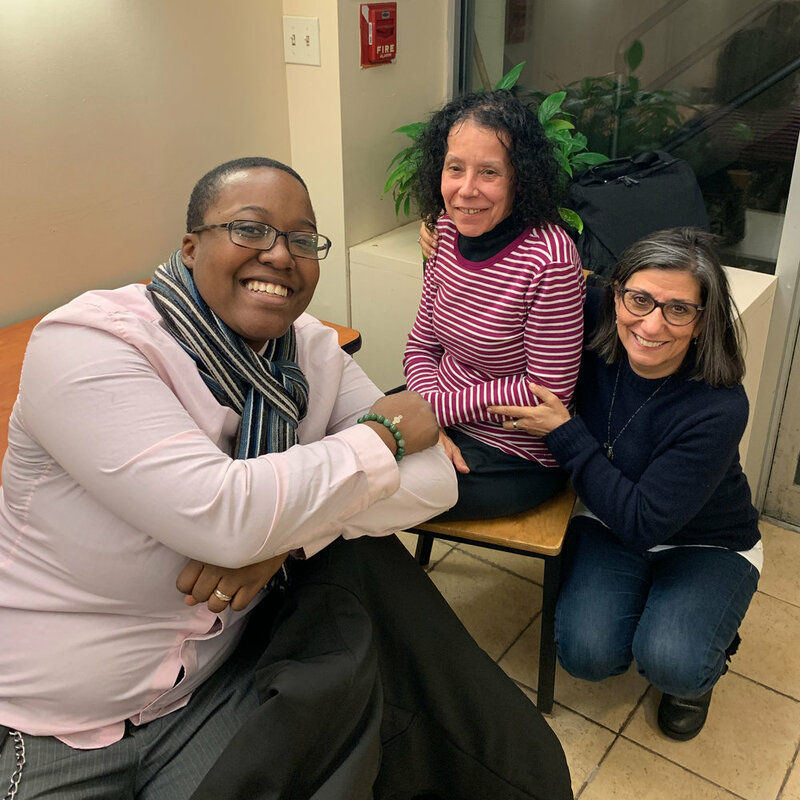 Both Mary Jo and the tenants loved the first event so much that she couldn’t wait to come back – this time to both Louis Nine House and the NCS Residence to celebrate Valentine’s Day! Tenants made bracelets with heart charms and enjoyed pizza. Learn more about Miracle Icons! Helping New Yorkers find their way home. © 2018 Neighborhood Coalition for Shelter, Inc.